The Singapore Data Center Park will henceforth be known as Tanjong Kling, DCD can confirm. Khoong Hock Yun, the assistant chief executive of development at the Infocomm Media Development Authority (IMDA), told DCD that the name was selected for ease of association, given that the land there is currently part of the Tanjong Kling industrial land. The Singapore Data Center Park was first announced in 2011 to entice multinationals and enterprises to set up their headquarters and data center operations here. Given the status of Singapore as a data center hub, the project had attracted much interest and was the subject of many conversations over the years. Development proceeded at a snail’s pace though, and plans to establish a dedicated power and chilled water plant were never realized. Telin Singapore became the first tenant with the launch of its Telin-3 data center late last year, and obtains its power from a pair of new substations dedicated to Tanjong Kling. Various data center executives we spoke to over the years and for this report offered various opinions as to why Tanjong Kling was slow to gain traction. For one, an on-site power plant only makes economic sense if excess power can be sold back to the electrical grid, adding a regulatory spin on top of already tricky commercial considerations for a shared power plant. Other issues include a perceived inability to differentiate from competitors just down the road, and a less-than-precise fit in terms of schedules and requirements. The biggest factor may be one of timeliness though. The delays meant that some operators who may have been amenable to setting up at Tanjong Kling had to drop it off their shortlist. Here is a list of some recent greenfield data centers that passed on Tanjong Kling. The Cloudspace II data center by pre-acquisition Pacnet was announced in 2013 and launched in 2014. Equinix’s SG3 was announced in 2013, and launched in 2015. 1-Net’s 1-Net North was announced in 2014 and commenced operations in 2016. Singtel’s DC West was announced in 2015 and commenced operations at the end of 2016. Singapore Technologies Telemedia’s (ST Telemedia) Singapore flagship data centre was announced in 2015 and commenced operations in 2016. 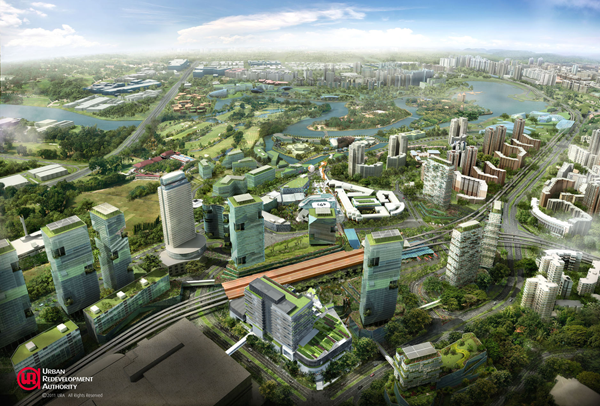 Have the objectives behind the establishing of Tanjong Kling changed? Khoong acknowledged that data center operators have different requirements, though he asserted that the team remains open to incorporating infrastructure to support operators. “[We are] cognizant that prospective data center operators may have differing needs and requirements. Where there is collective and substantive demand, and is economically viable to establish the requisite infrastructure, we are amenable to incorporate other applicable infrastructure that will benefit the data centers and the ecosystem,” he said. So why should new operators consider Tanjong Kling for their new facilities today? Khoong pointed to its ready-built infrastructure such as the dedicated substations for delivering power with minimal transmission losses, as well as the prebuilt fiber ducts and man-holes to ease the deployment and service provisioning of fiber networks to data centers. Khoong also clarified that while up to eight data centers can be built at Tanjong Kling, the actual number of buildings will ultimately depend on the operating needs and configurations of prospective data center operators. “Tanjong Kling offers essential on-site infrastructure that benefits the operators setting up data centers there. Such infrastructure aims to help the data center operators get to market quickly and reduce overall capital expenditure and operating costs through the economies of scale provided by Tanjong Kling,” he said. Despite its slow start, there is no question that Tanjong Kling is now fully operational. And it is also attracting a high level of interest, says Khoong. “Tanjong Kling, a project by Infocomm Media Development Authority of Singapore (IMDA), Economic Development Board (EDB) and JTC Corporation, continues to attract a high level of interest from operators keen to set up data center operations in Singapore. Tanjong Kling’s strengths, such as pre-provisioned on-site infrastructure, remains a strong pull,” he said. Ironically, the cluster of data centers now established in the western part of Singapore – many located within sight of Tanjong Kling, underscores that the location is ideal for data centers. Even Google’s two adjacent data centers are located in Jurong West, with the second facility expected to come online in the first half of this year. Note: This report was updated on 16 February 2017 with an updated quote from Asher Ling. Join the annual South East Asia Data Center Week 2017 and Cloud Hosting Day from 18-21st September 2017 to keep up-to-date on the latest cloud and data center developments in the region. Should you have a story or presentation that you would like to share during these events, please contact Stephanie Chiang.